You’re invited! On behalf of Dr. Deitemeyer, we invite you to Central Piedmont’s celebration on Tuesday, April 30, as we launch the college’s new logo, and new website (cpcc.edu). Please make plans to join us for the fun! Join us for launch day. Central Piedmont is launching a new brand, new logo, and new website (cpcc.edu). Come see us for giveaways (while supplies last) and fun at all campuses! All Central Piedmont students and faculty are invited to attend this week’s Research Symposium held by the NC STEM Alliance. 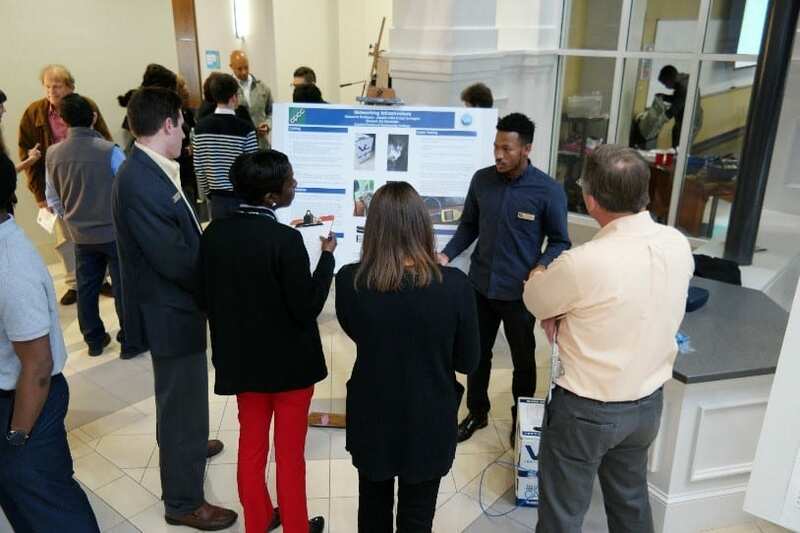 Please join us as students from Central Piedmont and Guilford Technical community colleges present findings from their science, technology, engineering, and mathematics research. The symposium will be held on April 5, 2019, from noon-3 p.m. in the Zeiss Building, First Floor on Central Campus. Hope to see you there! Central Piedmont Library is sponsoring several events during this year’s Sensoria festival that we would love to have you attend! Stephanie Burt will read from and discuss her book Wicked Charlotte, which delves into the sordid side of the Queen City’s history. “Night School” is a documentary discussing the daily life and challenges faced by low income Americans in one American city. “Science Fair” documents the attempt by nine high school students to come in first at the International Science and Engineering Fair. “We Are Still Rising” tells the history of Historically Black Colleges and Universities in the United States. Join us as TRIO and Mariot and G.M. Productions present an excerpt from “Coming of Age: Decisions” in Tate Hall on April 6 at 2:30 p.m., during Sensoria. The performance is free. “Coming of Age: Decisions” tackles the topic of sexual assault and the many elements that lead to this tragic incident. The performance will feature Central Piedmont DRE and ENG students, as well as individuals from Central Piedmont’s TRIO office. Following the performance, there will be a brief discussion about the play led by the writer and cast. Mecklenburg County Health Department will be on Central Campus on Tuesday, April 2, from 11 a.m. – 2 p.m., in the Worrell, Room 1112 to provide FREE and CONFIDENTIAL STI & HIV testing to members of the Central Piedmont community. Any questions can be directed to justin.knoll@cpcc.edu. Welcome to the first day of classes for the spring 2019 semester! 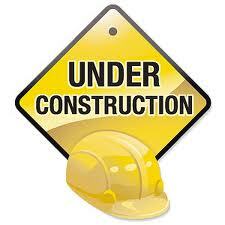 There are some important – and exciting – changes happening at the library. The Hagemeyer Learning Resources Center – the old building that housed the Central Campus library – is now closed so the library has moved across the quad to 1241 Charlottetowne Ave., which is beside the curved Citizens Building. The Learning Resources Center (and Pease Auditorium inside the building) will come down and be replaced by a new, state-of-the art library and student success center for our students. The new facility will also include a replacement of the existing Pease Auditorium and gallery. The new Central Campus library and student success center is scheduled to be completed in 2022. Even in its new location across the quad, the fantastic library team is still here to assist you. A law enforcement patrol will be parked along Elizabeth Avenue with flashing blue lights on class days from 7-9:30 a.m., noon to 2 p.m., and 5 to 9 p.m. These times will be adjusted to match any changes in pedestrian traffic. The college has contacted Charlotte DOT with the request to repaint all Central Campus crosswalks in a color more noticeable and reflective than white. The college and CMPD have requested that permanent flashing lights be installed at the crosswalks on Elizabeth Avenue. These would be similar to the crosswalk lights at Harper Campus. Campus Security Directors, Student Government Officers, CMPD and Mecklenburg Sheriff Deputies, and Allied Universal Police Officers are kindly reminding students and employees to always use the crosswalks and to always be alert for oncoming vehicles when crossing the street. Students: Receive a 15% Discount at Teriyaki Madness! For more information on Teriyaki Madness, visit teriyakimadness.com. The Workplace Learning Office on Central Campus has Moved! The Workplace Learning office on Central Campus has moved to the Elizabeth Office Building, located at 1425 Elizabeth Ave. Students needing assistance with co-ops, internships or apprenticeships may connect with the team at their new campus location, online at cpcc.edu/workplacelearning or by phone at 704.330.6217. Time: March 8, 7 p.m. – 8:30 p.m.
How do journalists determine when it’s appropriate to mention race in a news story? What types of conversations happen in newsrooms when racial tensions are high in the city? Can local viewers and readers influence how race is covered in the news? A panel of current and former journalists, share their perspectives on these questions and more.